Even though some people have a way of dismissing the importance of traffic when compared to the conversion rate, they are both equally significant, in this article we will discuss getting more visitors to your website. Don’t have a website? Here’s how you can create a website. For example, a 50 percent conversion rate when you have 10 visitors brings you the same number of customers, as a 5 percent conversion rate from 100 visitors. In other words, to give your website a boost, you need to try and improve both of these factors. With this in mind, here are eight tips that may help you drive more traffic to your website, helping your site get lots more visitors. The first thing you could try is to make a deal with influencers in order to have them spread the word about your business to their followers. Sure, some people think this would require them to contact top stars, when in fact, industry authority figures and local celebrities have a way of being equally as persuasive. You can either pay for this service or expect it in exchange for a favor. The choice is yours. Another thing you want to work on is your page’s visibility in the digital world. According to SEO experts from Sydney, boosting your chance of appearing early in any Google search is the key to increasing your traffic. To show you just how important this can be, there is an interesting statistic about the number 1 position in Google results, being responsible for about 33 percent of the entire search traffic. The rank two page gets about 18 percent, while the third one gets about 11 percent. By the time it reaches page 2, the overall traffic falls down by about 95 percent. Next great way of attracting people to your website is by adding some value to it. For instance, if you were to throw a contest or start a giveaway you could easily persuade people to share this content. 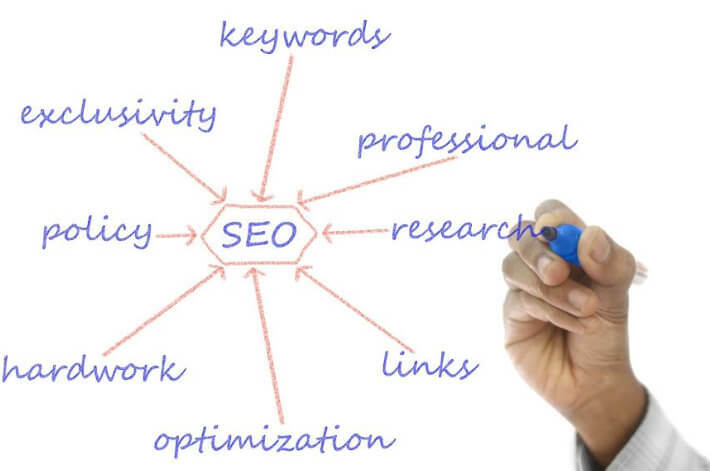 Furthermore, people looking for some material gain would suddenly develop a keen interest for your online activity, which is a great organic way of improving your traffic. One more way to boost the number of visitors to your website is by starting an elaborate referral system. For example, a person who brings 5 visitors to your website can get a 15 percent discount on your e-store. Instead of discount, you could also go with coupons or other kinds of rewards. Probably the most organic way to make people share your content is for them to actually like it. For this, however, it needs to be informative, entertaining or at least well-written. In an ideal scenario, it should be all three. When it comes to tips and tricks – reviews, rating lists and tutorials are always interesting and covering topics that people like and are definitely ways to get noticed. Furthermore, seeing how 8 out of 10 people don’t read past headlines, this is something you should probably focus on for the time being. On this list, we talked a lot about making your content shareable but does the way your social media share buttons look, or even their position, have anything to do with the inclination of the readers to share? Of course it does. First of all, keep in mind that share, follow and hashtag buttons are not the same thing. Second, the ideal position for them is at the top, rather than at the bottom of the page. In this way, they are easily noticeable. In concept, affiliate marketing is quite similar to the above mentioned referral program. The greatest difference is that the people who are promoting your business get actively paid for their service. Needless to say, this makes them try harder, which ultimately yields much better results. Seeing how the commission is determined based on their results, there is really no fear of you wasting money. In the very end, there is nothing wrong with paying for a better position in the digital world. Getting some quality adds on Facebook, Instagram and Pinterest can yield some great ROI, which is why you should never restrain from using it. After all, we discussed a similar thing in the section about the importance of influencers. As you can see, there are more than few ways of getting more visitors to your website and giving your website’s traffic a considerable boost. Some of the aforementioned methods are paid, while some require just a bit of your time. Your best choice, however, would be to go with most (if not all) of them at once, seeing how they are not mutually exclusive. At the end of the day, the choice is all yours.